The Carson Brewing Company, at Carson City, is Nevada's oldest business. 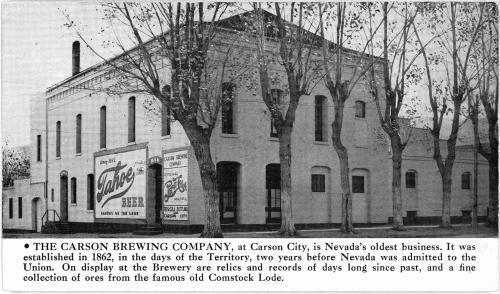 It was established in 1862, in the days of the Territory, two years before Nevada was admitted to the Union. On display at the Brewery are reilcs and records of days long since past, and a fine collection of ores from the famous old Comstock Lode.